Renault Vel Satis, the last French E-segment hatchback. While Germans were well known for cutting-edge superior engineering and toying with new ideas, French were well known for make fun and elegant cars. The French too, were responsible for pioneering the big hatchback market as well as the hatchback body styles in general. The hatchbacks were around since 1930s with French carmaker Citroen made the Traction Avant, with one available body style being a big hatchback with two split tailgates. (Later models granted a single hatch instead.) Renault joined in later in late 1960s, and both the French carmakers have been long runners in the big hatchback market for decades until late 2000s. Citroen Xantia, one of previous D-segment French hatchbacks. However, as Citroen and Renault’s run on big hatchback market become sluggish, they now decided to stop selling their big hatchbacks in recent years. 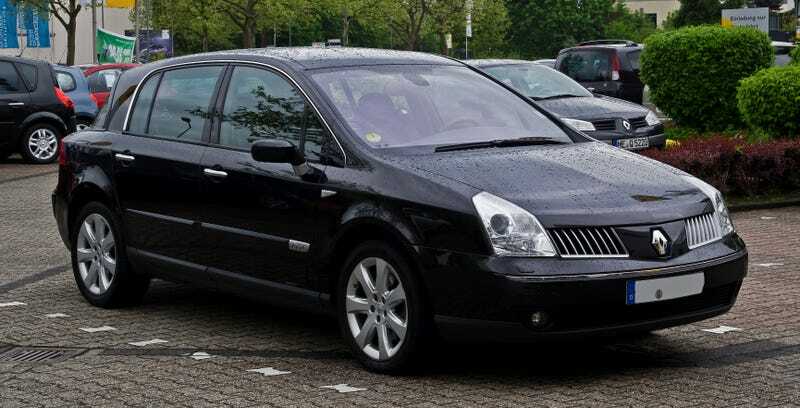 Citroen replaced the hatchback with a traditional 3-box saloon model for 2nd-generation C5, as well as the C6 at that time, and this was followed by Renault, with Vel Satis and Laguna hatchbacks replaced by Latitude and Talisman, which are traditional saloons with no hatchback models offered alongside. DS5, Citroen’s current D-segment hatchback. However, Citroen didn’t give up big hatchbacks entirely, although Renault did recently. The DS 5, a big hatchback (compact executive D-segment hatchback) produced under Citroen’s DS label, prompted the carmaker to rejoin the D-segment hatchback market. Meanwhile, the German carmakers like BMW, Porsche and Audi (latter two part of Volkswagen Group) have entered the big D/E/F-segment hatchback fray with better-equipped high-quality hatchbacks with sporty ideas that can prove some successes (BMW’s Gran Turismo series is lagging behind Volkswagen Group’s Audi A5/A7 Sportbacks and Porsche Panamera, although BMW’s 4-Series Gran Coupe does better a bit). The German carmakers have saved the big hatchback market from closing down and have brought up with some successes, in contrast to French carmakers who lost interest in building big hatchbacks. While Germans continue building big hatchbacks while toying with new ideas, the French lost motivation on building big hatchbacks and going back to the very-traditional roots by making only traditional saloons, which were standard for big cars, but uncool now today, considering hatchbacks can give better practicality than traditional saloons. Giving up making big hatchbacks is a really big sorry for the French, who pioneered the segment. However, I shall thank the Germans for bringing resurgence into the big hatch market. Bugatti Galibier. The production model could be a huge hatchback too. The big hatchback market is not over for French automotive industry, yet. (Citroen’s DS5 is still in production.) For those who are looking for even bigger French hatchback, fret no more. French-based Bugatti (also part of Volkswagen Group) will present you a really big hatchback that cost you an enormous ticket, the Galibier. If you are a big hatchback fan and have trillions of Euros to spend, this HUGE luxury hatchback could be yours.